The discussion and the debate on organic feeds for organic aquaculture is still open due to the balance that needs to be achieved between the fundamental rules in organic culture and the reality of the supply of the feed sources for aquafeeds. 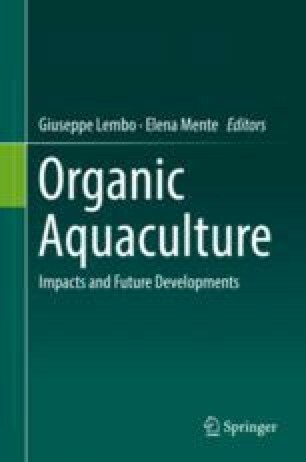 This chapter covers aspects of current use of formulated feeds, feed composition, aquafeed technology, sustainable alternatives to common feed ingredients, nutritional physiology and general nutritional principles and product quality in the context of the organic aquaculture. It reviews new knowledge and presents research results to update and may modify the criteria and standards for organic aquaculture in relation to nutrition and thus to provide high-quality products for the consumers. This chapter is based on the current European regulation on organic aquaculture, as well as on the proposed revision of the European regulation, which is currently being approved after a long process for getting the agreement of the European Parliament, European Council and the European Commission.